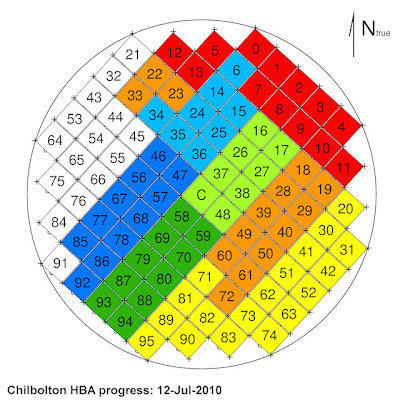 Another map for the LOFAR-Chilbolton HBA antenna installation. Today's progress is marked in dark blue. We have 82 out of 97 now complete.